Ernie Pine has had bad experiences with the supernatural in the past. And now, while visiting a friend in Queensland, he hears waves splashing outside his window. The sea is at least forty kilometres away. So what’s going on? Where is the sea sound coming from? Does another supernatural phenomenon have something planned for poor Ernie? Also, Big and Rish talk about how the October Scary Story Event went this year. 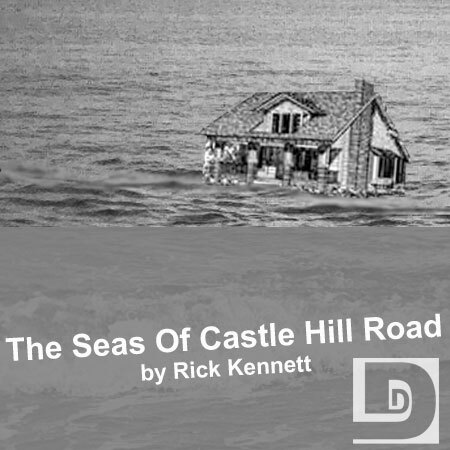 This entry was posted on November 13, 2008 at 2:10 am and is filed under Drama, Horror, Mystery, Novelette, Rick Kennett. You can follow any responses to this entry through the RSS 2.0 feed. You can skip to the end and leave a response. Pinging is currently not allowed. I really liked this tale although the ending did have quit the punch I was hoping for. Great idea for a ghost tale and nicely done. I did give it a much larger review in my blog. Thanks Mari for the great review. I’m glad you enjoyed the story. Great story by one of Australia’s best. I liked it. I also liked the Author’s Note at the end. As an author, I’m just the opposite. I almost never know how a story is going to end when I start it. For me, it’s unusual to have a clear idea of the outcome. Anyway, I enjoyed the story. Keep ’em coming! You know, I’ve heard a number of writers over the years (Stephen King is particularly outspoken on the subject) talk about how limiting and uncreative it is to write with a particular ending or destination in mind. I have tried to simply write, off the cuff, and see where it takes me. Inevitably, it takes me to yet another unfinished story. You had a Kiwi read the main part? Oh well, I guess there aren’t many Aussies around. It was either that, or a couple of dirty, dirty Americans. Lesser of two evils, anyone?